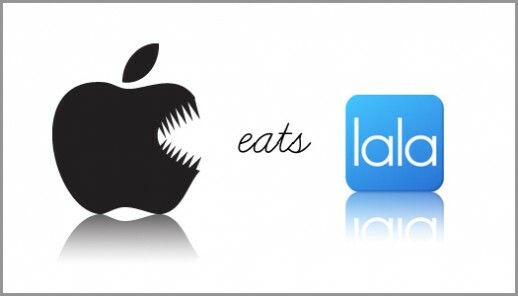 Apple will be shutting down Lala May 31, 2010. Say apple while holding your tongue. I wish this wasn’t true. But this morning I received the email of the bad news. Lala is a web based music player and awesome place to listen buy and store all your music. Mega awesome but mega bully Apple bought Lala late 2009 at an undisclosed amount with no public announcement on what it planned to do with the company. I guess they just didn’t like the idea of letting people listen to songs and albums free for the first run. Or buying web albums for under a dollar. The peeps here at Ninthlink will miss you lala you have been a good friend harboring our music and enlightening us too new cool tunes. Read more at yahoo news. Previous PostCeleb Trends @ Yahoo's omg! Next PostSurvey Select Coming to San Diego! I really hate that Apple has become the bad guy. Remember the good old days when that job belonged to Microsoft?